In Pokémon, the Gym is where you can go to train your Pocket Monsters. 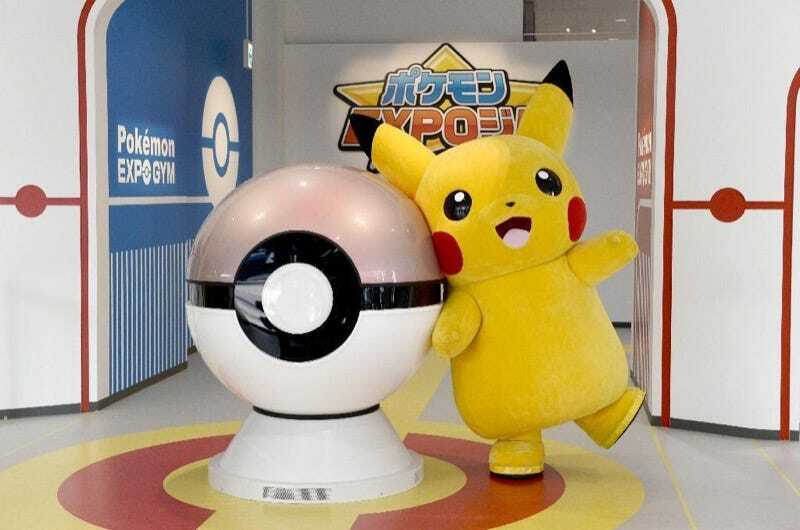 In Japan, the Pokémon Expo Gym is where you can shop and interact with Pokémon. Opening this November in Osaka, Pokémon Expo Gym is similar to Pokémon Center stores in that it offers a whole host of things to buy. One key difference is that at the Expo Gym, there are also exhibits in which you can interact (and talk!) with Pokémon. Sankei News, Oricon, and 4Gamer recently checked out it as did Popstar Mirin Furukawa from the group Dempagumi.inc. There are a handful of interactive areas, including Charzard’s Battle Colosuem, Zoroark’s Somewhat Sinister Dojo, Machamp’s First Aid Center, Pokémon Battle Bowling, and more. These interactive areas cost between 400 yen (US$3.34) and 600 yen ($5) and last between three and fifteen minutes, depending on the exhibit. Apparently, you need to make this gesture with your hands?